Wondering how to get a start-up business loan? It’s actually so much easier these days because you can now do all the research and compare loans online. Getting approved for start-up small business loans takes a lot of preparation, but it is definitely worth it once you get the hang of all the business loan requirements. So how do you qualify for a small business loan? For starters, determine how much you actually need, and what you need it for. When you’ve answered these two important questions, here’s how to make sure your business loan gets approved. You’re most likely to get approved in a bank where you’ve already set up your savings or merchant (business) account. And since you already know the bankers there, you can ask for advice on how to go about your business loan application. Before anything else, see if you may have overlooked some negative credit records from the past. Maybe you’ve forgotten about them because you have been earning a steady stream of income from your start-up business. Review old credit records and settle things if anything appears, before you even start applying for a business loan. Now that your business loan purpose has been established, and your credit history cleared, this is where due diligence on your part comes in. As a loan applicant, you will need to find and compare lenders. Look for the types of business loans available to you, the terms and conditions, and the eligibility and document requirements. Nowadays, you can easily compare business loans in one website and apply online. All these preparations should include preparing to answer any questions that your lender may have. Can you show a solid business plan? Have you done a proper feasibility study? Why do you need that much loan amount? How long do you think you can have a return of investment? These are just some of the important questions you need to answer. Prepare the complete business plan and documents. If your business is new, you can prepare and submit a sales forecast instead of the usual audited financial statements, along with your bank statements. Each lender may have specific documents they will require you to submit. Everything should be in order and documents within reach during your presentation. Be thorough, accurate, and honest during the application. 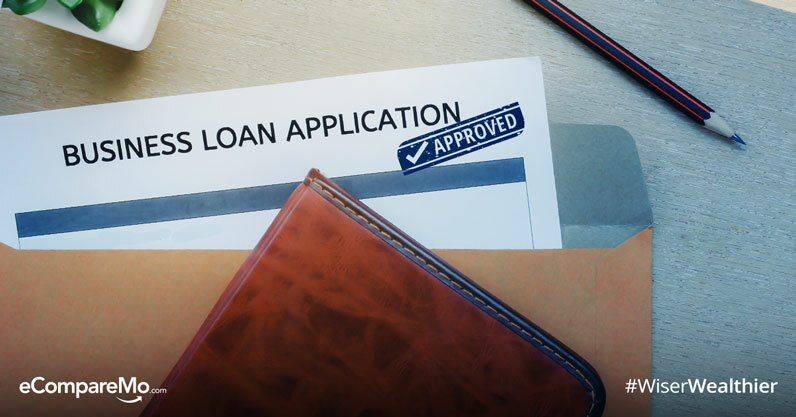 When you know you’ve done everything on your part to provide a good business loan application, there should be little reason to worry about the result. The usual loan processing time is two weeks, but it always depends on the lender. In case of rejection, you can always ask them for things you need to improve on, so you know better on your next application. If you’ve been approved, then congratulations! You’re well on your way to growing your business.